Did you know that by 2017, streaming video content will account for 75% of the entire data traffic of the World Wide Web? Did you know that the video marketing platform YouTube is the second biggest search engine after Google in the Western World? Considering these numbers, businesses must ask themselves whether they can still afford to go without video formats and video advertising at all. Frankly, we don’t think so! Unless you make use of the opportunity to reach your audience via video formats, you risk missing out on many prospective customers – and even losing existing ones! This article will explain which strategies and ideas are available specifically for small businesses and how you can use these most effectively. What you should know before launching into video advertising and marketing! Small businesses often wonder how to approach the matter of online videos and how to find a place for this new medium in their advertising strategy. Before getting started, it is important to understand the basic data around the topic of video marketing, and how best to use it in your strategy. 13 milliseconds is how long it takes to grasp video content – faster than by listening or reading! No.2 is the position of the video platform YouTube, right after Google, in the Western World! How you present yourself is just as important as what you are presenting! How to optimally use video marketing in your advertising strategy? The great thing about video advertising is that there are no limits to how you can use this technique. There are countless different formats which can be tailored to your topic or product, ensuring you will find just the right one for your needs. Now that we have looked at the “why” and the “how”, let us dive deeper into the topic to find the answers to our initial questions. Demonstrate how your product works by using and introducing it live in front of the camera. Put relevant info such as website, product page, etc. in the video description. Use your video to show how something works or how to make / create something. You can then easily give away or sell an eBook or e-magazine with detailed instructions at the end of the video. Capture your actions on the monitor for a step by step guide on how to create or do something on the computer. Video animations are often used to show a process which cannot be shown in reality (e.g. workings inside a machine). Animations can be an exciting and gripping way to convey new information. Demonstrate how your product is made, what specific steps are used to create the high quality product you supply. “Behind the scenes” videos and blooper reels are great for showing your fun side and bringing you closer to your customers. Introduce yourselves to your audience and take the viewer on a tour through your company. Show off your products and demonstrate their use. 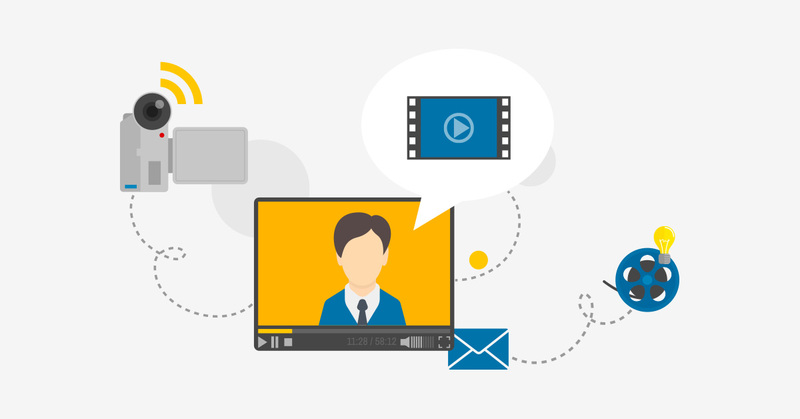 This type of video replaces the traditional direct mailings to customers. PS. Let your employees have a say and contribute to the video (division of competence). If you already have a large collection of product images and high quality photos, you can easily collate these into a slide show video. Complement them with music or short video sequences to create a great looking video even on a tight budget. Ask satisfied customers to talk about your products or services. Make sure their statements are authentic! This type of video can replace online review systems (e.g. on Amazon) and plays a big role in swaying customers to buy. If blogging used to be the main communications channel a few years ago, nowadays the switch to video as the main medium is inevitable. Vlogging is “the next big thing”! Video blogging has proven itself as a way of providing customers and prospects with a regular output they can subscribe to. Just like in real life, a genuine welcome and friendly send-off can be important opportunities to ingratiate yourselves with your customers. Make sure you use this as best you can! 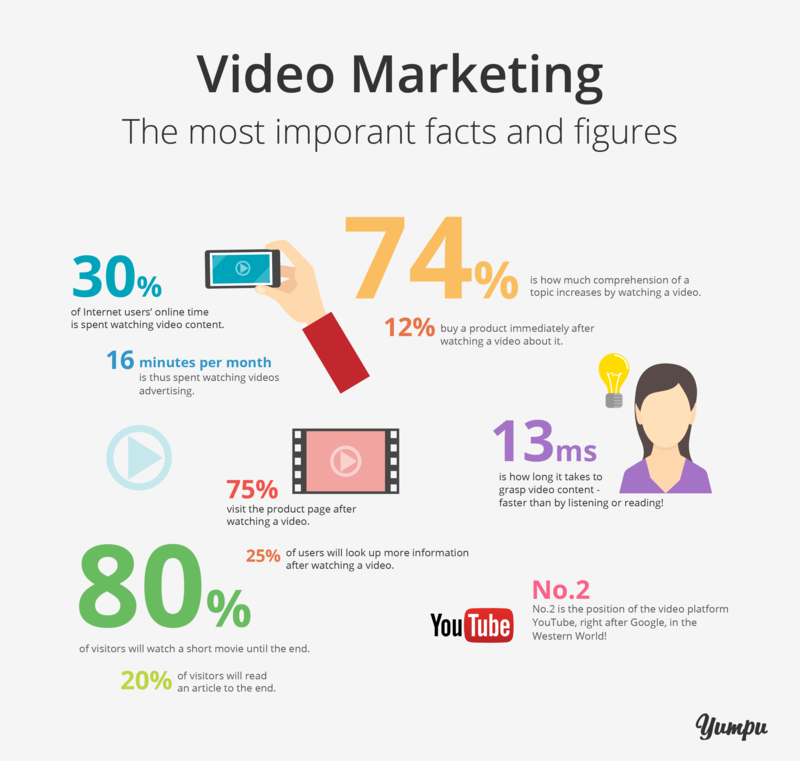 Video marketing with promo videos from Yumpu! There is no way around videos in the future of online marketing. 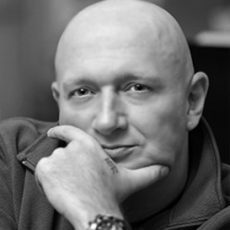 If you want to reach customers and prospects, start using the medium today! It isn’t always necessary to produce expensive new content for each video: it is often possible to reuse and repackage existing content to great effect. Yumpu can show you what you can achieve with existing flyers, brochures or magazines. Our new marketing tools not only allow you to turn existing magazines and brochures into digital e-papers, but now ALSO into NEW promo videos you can share on YouTube and important social media channels like Facebook, etc. 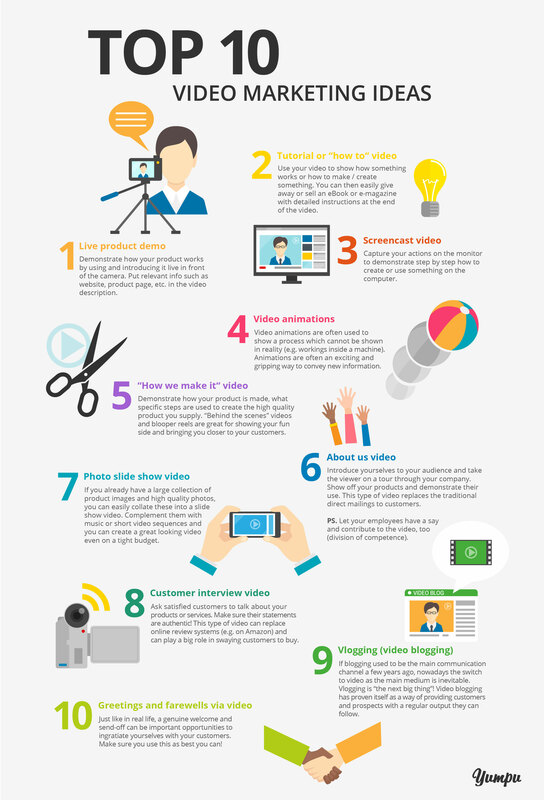 I've found the article "10 Top Video Marketing Ideas for Small Businesses" which can be read here: https://en.blog.yumpu.com/generally/10-top-video-marketing-ideas-for-small-businesses/.